We collect cheerful drawings from Volunteers of all ages. Color our pages and mail them to us. Every month we mail thousands of cheerful drawings to our troops. Click here to give us the name of someone in the military that should be receiving our drawings. 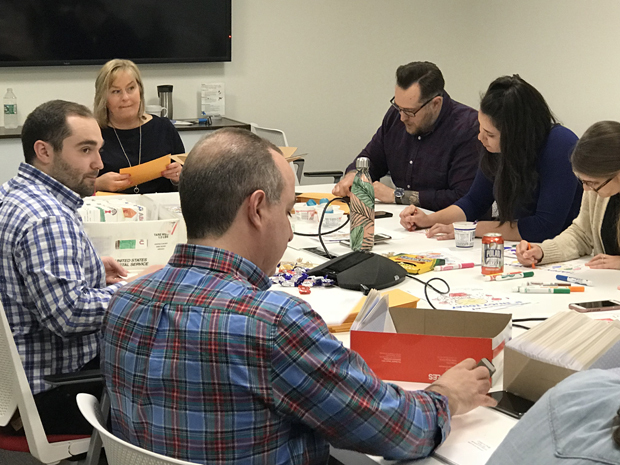 Volunteering to color together and bringing smiles to those in need is fun for all ages and can be a rewarding and fulfilling corporate teamwork project. 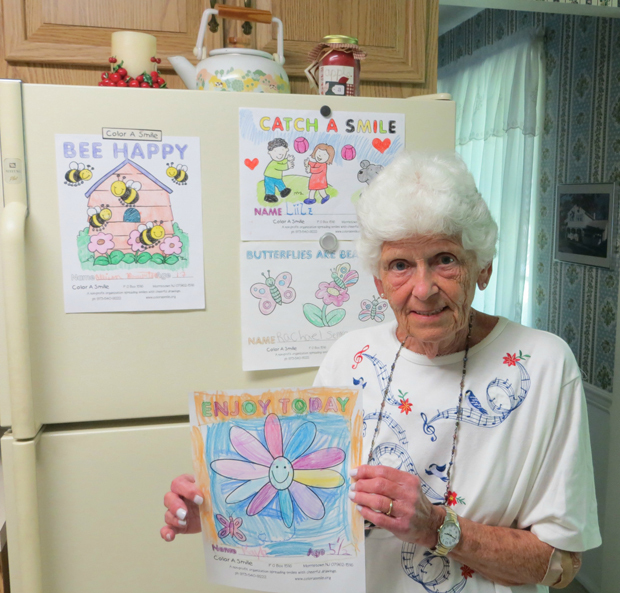 Every month we mail thousands of cheerful drawings to senior citizens. Click here to give us the name of a senior that should be receiving our drawings. 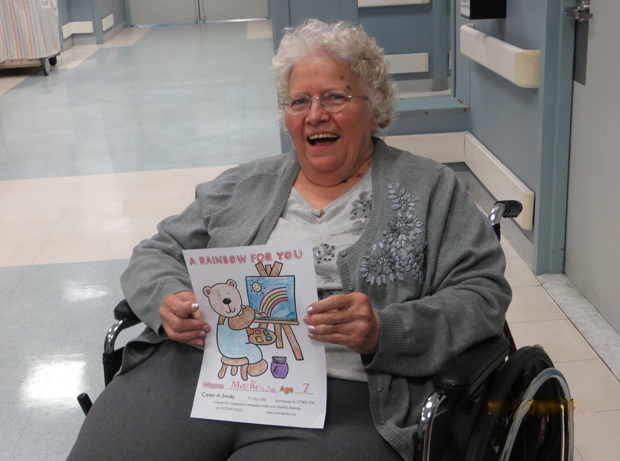 We collect cheerful drawings from Volunteers of all ages. 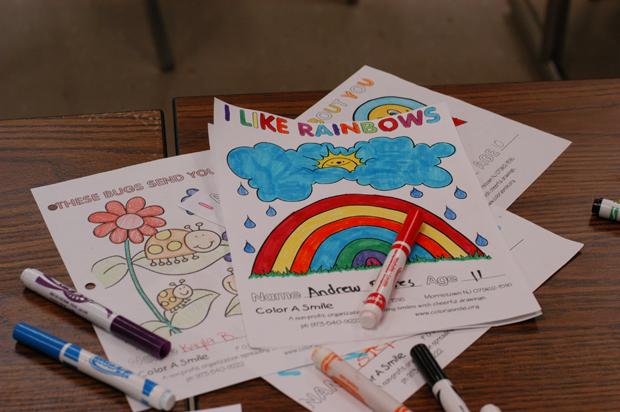 Color our pages and mail them to us. Help us to make people smile. Every month we mail thousands of cheerful drawings to anyone in need of a smile. Click here to give us the name of someone that should be receiving our drawings. 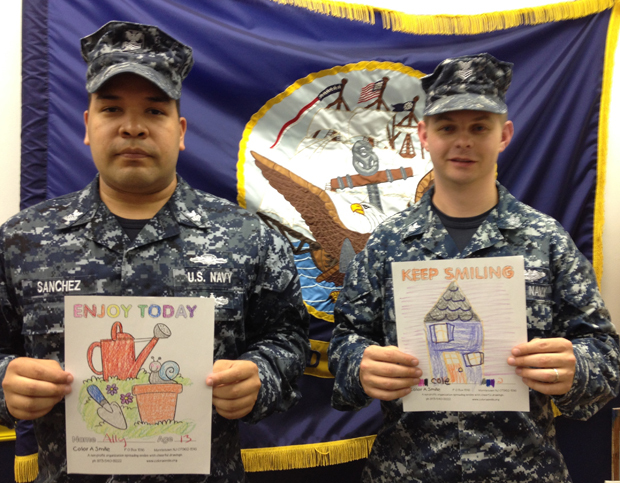 Color A Smile is a nonprofit organization that distributes cheerful drawings to Senior Citizens, Our Troops Overseas, and anyone in need of a smile. Every month we distribute thousands of new drawings and make many people happy. 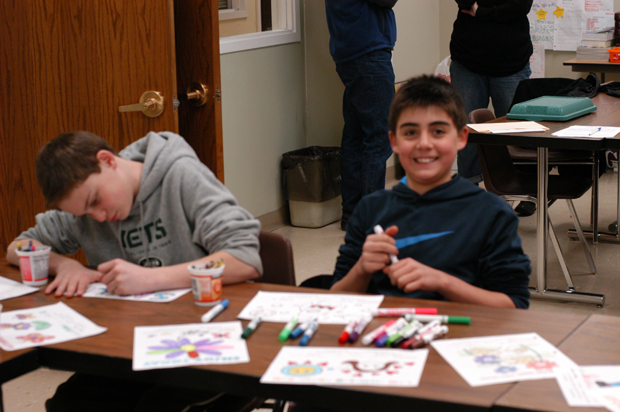 Volunteers of all ages can color our pages and mail them to us. You can volunteer and help us to spread smiles. "Enjoy the pictures provided by the Dancer family and Cub Scout Pack 36, Bear Den 7 located in Bentonville, Arkansas. Anyone in need of a smile can receive our drawings.